The Pacifica Quartet will perform Jan. 8 at the Quick Center. Fairfield University will present a performance by chamber ensemble Pacifica Quartet 3 p.m., Sunday, Jan. 8, at its Regina A. Quick Center for the Arts, 1073 N. Benson Road. A pre-concert talk by Robert Sherman, writer, teacher and radio broadcaster for WQXR and WFUV, will take place 2 p.m. The concert program will consist of Ludwig van Beethoven's Quartet in F Major, Op. 18, No. 1 and Quartet No. 9, Op. 117, and Dmitri Shostakovich's Quartet in F Major, Op. 59, No. 1, "Razumovsky." 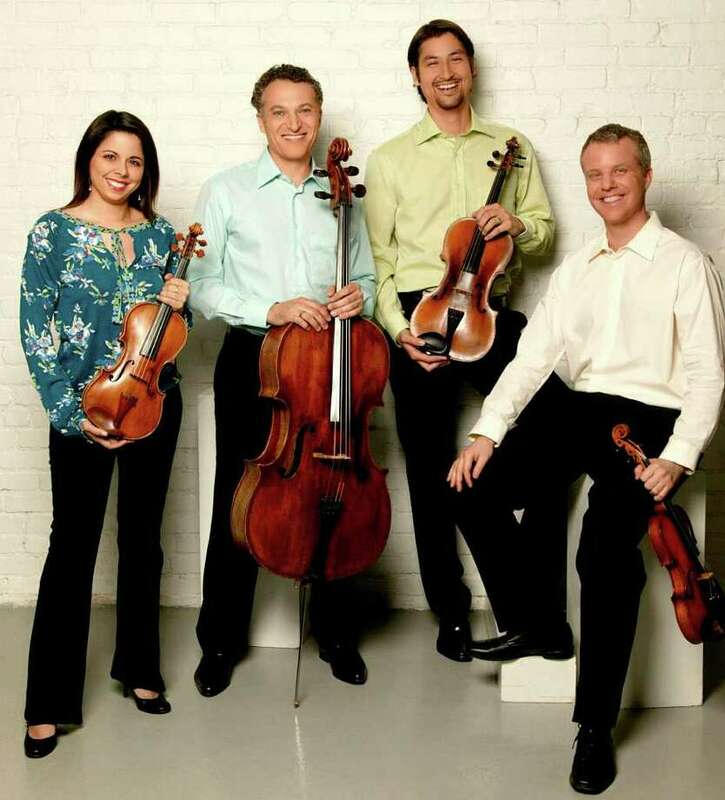 The quartet, named Ensemble of the Year by Musical America and recipient of the 2009 Grammy Award for Best Chamber Music Performance, consists of Simin Ganatra and Sibbi Bernhardsson on violin, Masumi Per Rostad on viola and Brandon Vamos on cello, according to a release from the university. The quartet, formed in 1994 and based in Champaign-Urbana, Ill., has won several competitions and awards, including the 1998 Naumburg Chamber Music Award and Avery Fisher Career Grant in 2006, the release states. It was featured on the cover of Gramophone in 2006. Tickets, at $35, are available through the Quick Center Box Office at 203-254-4010 or online at www.quickcenter.com.